The Waldorf Astoria Bangkok will be shaped like a magnolia flower springing from the ground. 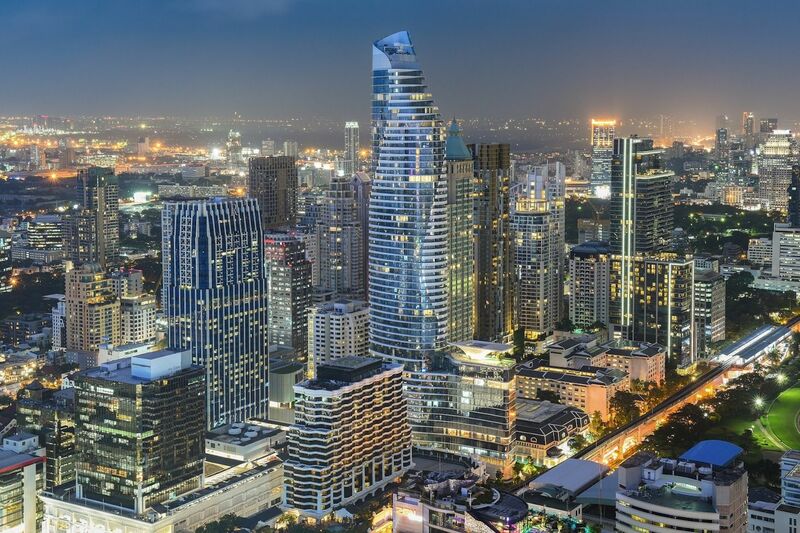 Cutting against the skyline of Bangkok, the sculptural appearance of the building pays homage to the owners of the property, Magnolia Finest Corporation Limited. Expect to see this dazzling “flower” take over your favourite travel Instagram accounts soon. The hotel lies in the entertainment and shopping mecca of upscale Ratchaprasong. Thus the Waldorf Astoria Bangkok will be situated on top of Bangkok’s newest and most luxurious development in high-end residential living: Magnolias Ratchadamri Boulevard. Hong Kong architect André Fu and his internationally acclaimed design studio, AFSO, were tapped for the Waldorf Astoria Bangkok thanks to his extensive work designing high-profile, high-end hotels, art spaces, and fashion collaborations. Each of the new property's 171 luxuriously appointed rooms from the sixth to the 15th floor (outfitted with Salvatore Ferragamo bathroom amenities) will showcase Fu's expert weaving of Thai artisanal traditions into a gorgeously designed contemporary hotel. Levels 55 to 57 of the Waldorf Astoria Bangkok will comprise three different dining outlets designed by New York concept firm AvroKO, the masterminds behind California’s Single Thread and Bangkok’s Penthouse Bar and Grill. With stellar views at Bull & Bear, The Loft and The Champagne Bar, expect some seriously luxe digs in which you can enjoy your food. Other F&B outlets in the hotel include Front Room in the Lower Lobby featuring Thai-inspired Nordic cooking, The Brasserie on the Upper Lobby with authentic French cuisine, and Peacock Alley for gorgeous afternoon teas and cakes. The Waldorf Astoria Bangkok will also have an outdoor, temperature-controlled swimming pool, a 24-hour fitness studio, the Waldorf Astoria Spa, and personal concierges for guests to use. The property will be overseen by General Manager Simeon Olle, who brings with him over 30 years of experience in luxury hospitality including time at the Waldorf Astoria Shanghai on the Bund.